Gum disease, cavities, and bad breath … oh my! The health of your teeth and gums is about so much more than just a pretty smile. Did you know that the health of your mouth, for better or for worse, reflects the health of your entire body? This is because your mouth is teeming with more than 700 species of bacteria – both good and bad – some of which can lead to serious health issues like stroke, diabetes, endocarditis (infection of the inner lining of the heart), and even pregnancy issues, like preterm birth (1). In fact, studies show that people age 65 and younger with periodontal (gum) disease have a 44 percent increased risk of cardiovascular disease (2). Well, it all begins with your microbiome, the diverse ecosystem of trillions of bacteria that live in and on your body. Yes, I said trillions! You may be shocked to know that the bacteria in your body outnumber your human cells by nearly 10 to 1, which makes you about 90 percent microbial and only 10 percent human. Within the greater microbiome that encompasses your whole body exists several smaller microbiomes with differing species of bacteria, depending on the body part. The health of your oral microbiome – all the bacteria in your mouth, throat, nose, and ears – is crucial to your overall health and well-being. You see, 80 percent of your immune system resides in your gut. And your mouth, the beginning of your digestive tract, is the gatekeeper of all that goes in. Amazingly, we swallow billions of bacteria a day, some beneficial and some harmful. Our diets alone provide a whopping amount of microbes – the USDA-recommended meal plan contains around 1.3 billion daily bacteria, while a vegan diet includes about 6 million each day (3). Because your mouth is the gateway to your immune system and the rest of your body, it’s imperative that you have a healthy balance of good microbes – called probiotics – in your oral cavity to crowd out or competitively exclude the unfriendly bacteria you are exposed to. The bad news is that an imbalance of microbes in your mouth can cause a waterfall of negative events throughout your entire body. Tooth decay, gum disease, and foul breath are all signs that your mouth is overrun with bad bacteria that can lead to infection and a cascade of other symptoms. Let’s begin with the example of gum disease caused by pathogenic bacteria. Infection in the gums signals your body that it needs to respond right away. The body’s natural response to infection or injury is inflammation, and in reaction to the inflammation, the liver releases C-reactive proteins that further increase the inflammatory response. 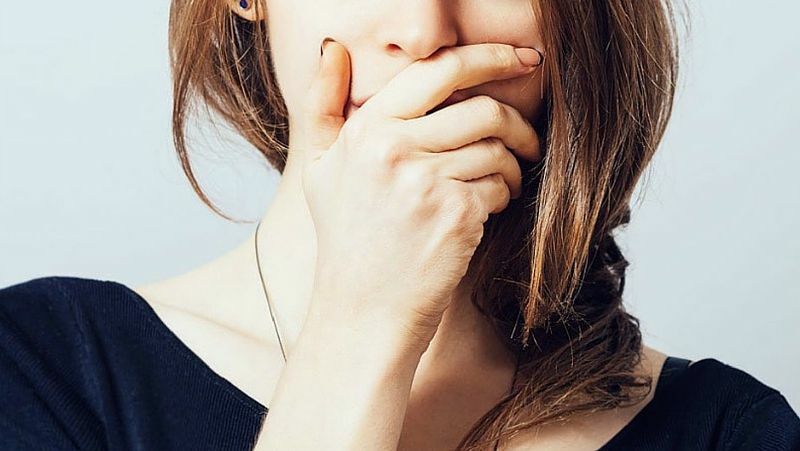 This low-grade, chronic inflammation in your mouth can be a risk factor for many chronic health problems like heart disease, type 2 diabetes, Alzheimer’s disease, and even cancer. Unfortunately, the negative consequences of compromised oral health don’t stop there. Bleeding gums give harmful bacteria a direct route to your bloodstream where they can seriously impact your health. For example, Streptococcus gordonii are harmful bacteria that can slip into the bloodstream and masquerade as proteins, causing blood clots that can infect the lining of the heart (4). Now for the good news – you can alter the bacteria living in your mouth and prevent and treat teeth and gum issues and resulting inflammation by taking oral probiotics to support your oral microbiome, and by staying away from probiotic-depleting products and medications. Oral probiotics are beneficial bacteria specifically suited to the oral cavity. Rather than making their way down your digestive tract into your gut to join the trillions of microbes there, oral probiotics stay in your mouth (and sometimes travel to your nose, throat, and ears) to provide a plethora of health benefits. From crowding out bad bacteria and dissolving dental plaque to producing enzymes, oral probiotics work hard to keep the bad guys at bay so you can have happier dentist visits and steer clear of infection, inflammation, and related systemic health conditions. Unfortunately, if bad bacteria gain a foothold in your mouth, they can cause a host of local problems. Streptococcus mutans, for example, attach to the sticky plaque on your teeth and feed on sugar in your diet to produce acids that wear away at tooth enamel, leading to cavities and tooth decay. Other bacteria that live in dental plaque, like Treponema denticola, release toxins and other compounds that cause inflammation of the gums, starting with the swelling and bleeding of gingivitis and progressing to periodontitis and possible tooth loss as plaque and tartar spread beneath the gum line (5). T. denticola, along with many other undesirable bacteria, can also cause bad breath due to the excretion of foul volatile sulphur compounds. 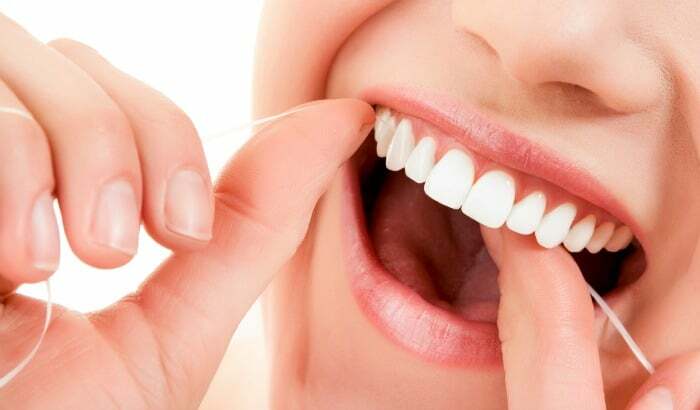 Oral probiotics work to get rid of the dental plaque that serves as a home for the bad bacteria, and they also compete for space in the rest of your mouth, pushing out the bad guys before they have a chance to settle in. Streptococcus salivarius are normal, health-promoting inhabitants of the mouth and upper respiratory system that are found in abundance in healthy individuals. BLIS K12 is a superhero strain of S. Salivarius that, in addition to competitively excluding various bad guys, produces antimicrobial proteins called Salivaricin A and Salivaricin B that attack the bad bacteria that cause cavities, bad breath, and gum disease (6). BLIS M18 is another S. Salivarius strain that competes for space with harmful bacteria while also secreting Salivaricin A, Salivaricin 9, and Salivaricin M to inhibit the unwanted bacteria (7). BLIS M18 also dissolves the sticky plaque on teeth that is home to S. mutans and other pathogens (8). Lactobacillus reuteri live in both the gut and the oral cavity, where they suppress S. mutans, decrease plaque, and reduce gingivitis and gum disease (9, 10). Studies show that L. reuteri in the intestinal tract even reduce S. mutans counts in the mouth (11). Lactobacillus paracasei also serve dual duties in both the intestine and the mouth, but their method of action is slightly different than other oral probiotics. Rather than attacking or crowding out S. mutans, L. paracasei bind to the harmful bacteria, grouping them into clumps that can’t attach to the surface of teeth, so you can rinse out or swallow them instead (12). Now that you know which oral probiotics work hard to keep your teeth and gums healthy and disease-free, it’s time to learn how to use oral probiotics to keep all those good bugs happy and thriving. 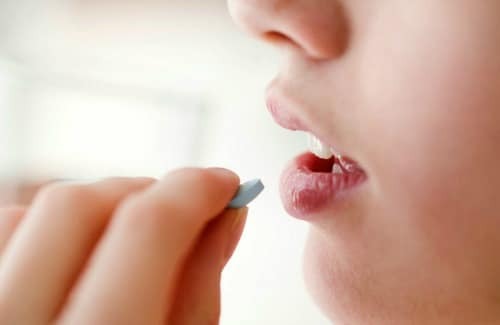 Research shows that oral probiotics can have an overwhelmingly positive effect on the health of your entire mouth, but as you work to repopulate your oral microbiome with more of the good bacteria to protect your teeth and gums, you also need to make sure you are minimizing practices that will put your new friends in harm’s way. Here are my 5 tips for keeping your beneficial mouth microbes happily in the majority. Many modern brands of toothpaste and mouthwash (and even floss) contain antimicrobial agents that work to get rid of harmful oral bacteria. The problem is that they also deplete good bacteria and disrupt the balance of the oral microbiome, making it easier for the bad guys to settle in. Triclosan, a common toothpaste ingredient, is one ubiquitous antibacterial compound that is particularly harmful to your microbiome and entire body, causing thyroid, hormonal, and other health issues. And the scary part? The chemical sticks around in your bodily fluids long after exposure (13). Look for natural toothpaste and mouthwash with simple, chemical-free ingredients and be aware that even natural remedy antibacterial products (like tea tree oil) can wipe out good bacteria. 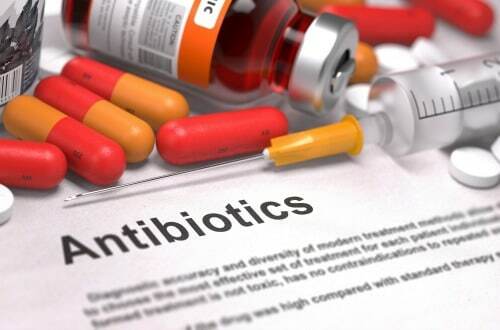 Antibiotics and many types of medications—such as hormone replacers, NSAIDs, birth control, steroids, and antacids—wipe out the good bacteria throughout your body, including in your mouth. Whenever possible, look for natural alternatives that support your microbiome and overall health. 3. Brush and Floss Regularly. Brushing and flossing your teeth will help to disrupt any of the bad bacteria that try to inhabit your mouth. Regular dental cleanings (look for a holistic dentist that uses natural products) can also get rid of plaque and tartar that harbor harmful bacteria. Studies show that swishing with coconut oil for 10 minutes each day (make sure to spit it out in the trash when you are done!) 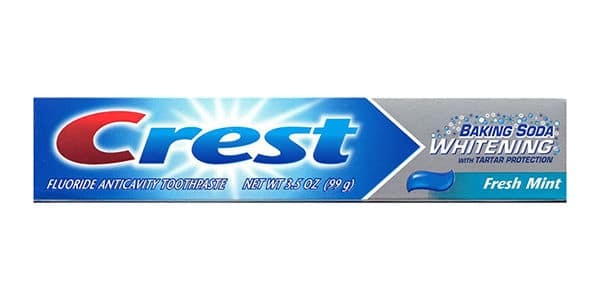 reduces the amount of cavity-causing S. mutans bacteria without the harsh side effects of antibacterial rinses (14). An ancient Ayurvedic practice, oil pulling works as a natural cleansing and detoxifying routine. 5. Take an Oral Probiotic Formula. 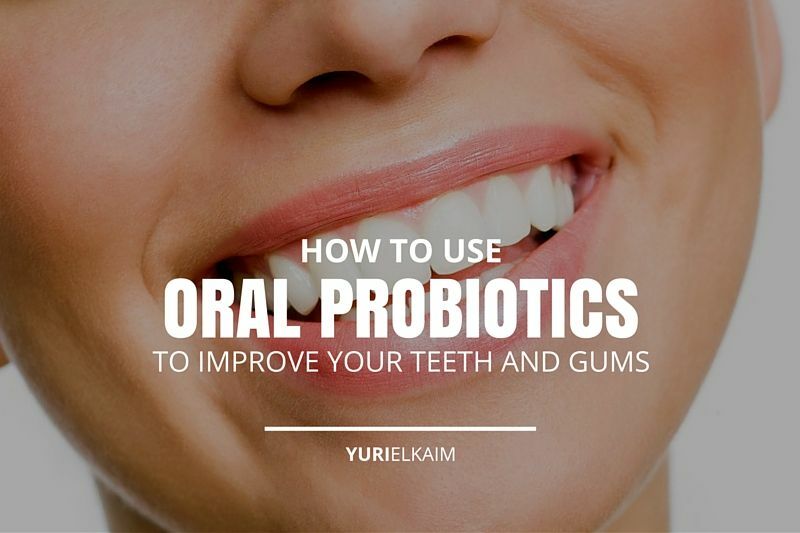 Most importantly, look for a chewable, potent oral probiotic formula with the most beneficial bacteria for oral health: BLIS K12, BLIS M18, L. reuteri, and L. paracasei. Taken as directed, these strains should populate your mouth within just a few days so the good guys can get to work keeping out harmful microbes. Make sure to chew these precious probiotics after you’ve already brushed your teeth, so they have time to settle in without being brushed or rinsed away. Taking them just before going to sleep allows the probiotics to work all night on your behalf, without interference from food or drink. A healthy, balanced microbiome consists of 85 percent good bacteria and 15 percent bad bacteria, so you’ll never be able to get rid of all of the bad guys that can contribute to tooth decay, bad breath, and gum disease. But, by eating a plant-based, whole foods diet low in sugar, taking a high-quality oral probiotic formula, and committing to a regular dental hygiene protocol with natural oral care products, you can keep the good guys in charge for optimal dental and whole-body health.